Geoffrey S. Berman, the United States Attorney for the Southern District of New York, announced non-prosecution agreements (the “Agreements”) with tribal corporations controlled by two Native American tribes: the Modoc Tribe of Oklahoma and the Santee Sioux Tribe of Nebraska. As part of the Agreements, the tribal corporations agreed to forfeit, collectively, $3 million in proceeds from the illegal payday lending enterprise owned and operated by Scott Tucker. As part of the Agreements, the tribal corporations acknowledged, among other things, that Tucker used his agreements with the tribal corporations to evade state usury laws and that representatives of the tribes filed affidavits containing false statements in state enforcement actions against parts of Tucker’s payday lending enterprise. BUFFALO – Attorney General Barbara D. Underwood today announced a joint lawsuit with the Federal Trade Commission (FTC) to stop the collection and distribution of “phantom debts” that consumers do not actually owe. The complaint alleges that Hylan Asset Management, LLC and its owner Andrew Shaevel, and Worldwide Processing Group, LLC and its owner Frank Ungaro Jr. violated New York State’s fair debt collection statute and laws prohibiting deceptive acts and practices, as well as the FTC Act. It also alleges that certain defendants violated the Fair Debt Collection Practices Act. The lawsuit seeks to permanently stop this illegal conduct and to obtain money to provide refunds to consumers. SACRAMENTO, Calif. (AP) — California state senators advanced a last-minute internet privacy bill Tuesday ahead of a deadline while acknowledging it would need changes if it becomes law. The bill would let consumers ask companies what personal data they collect and opt out of having their data sold, among other privacy provisions. NEW “ASK THE REGULATOR” SPEAKER ADDED FOR DCS2018 – SEPTEMBER 5-7, 2018. Max Weinstein, Chief of the Consumer Protection Division in the Office of Massachusetts Attorney General Maura Healey will be joining our “Ask the Regulators” panel at the Debt Connection Symposium and Expo 2018 conference, at the JW Marriott Austin, in Austin, TX. With leadership of the Consumer Financial Protection Bureau already facing plenty of uncertainty, a looming court decision could further upend the calculus of who runs the agency. The U.S. Court of Appeals for the D.C. Circuit has been deliberating since April on whether Mick Mulvaney can continue as acting CFPB director. The three-judge panel appeared skeptical of the claim by Leandra English, the chief of staff under former CFPB Director Richard Cordray, that she is the rightful acting director. But the judges also raised questions about Mulvaney's dual role running the bureau and the Office of Management and Budget. COLUMBUS After sailing through the House, changes to Ohio’s payday lending business will have to wait until at least later this summer, maybe longer, to get a Senate vote. Senate Finance Committee Chairman Scott Oelslager said the panel would not vote on the measure either Tuesday or Wednesday. And with the Statehouse essentially shutting down for the summer so lawmakers can campaign for re-election, the bill will be put on hold — although Senate President Larry Obhof has said he could call the Senate back into session as early as July to consider the controversial proposal. Federal Trade Commission Chairman Joseph Simons issued the following statement regarding the Justice Department’s plan to remit more than $500 million to the FTC for consumers who were harmed by a massive payday lending scheme: "We are very pleased that the Justice Department was able to recover this money in connection with its criminal and civil cases, and that we can help by returning it to consumers,” Simons said. New opinion – DEBRA ARMATA vs. TARGET CORPORATION & another. Washington (June 26, 2018) – Senator Edward J. Markey (D-Mass. ), House author of the Telephone Consumer Protection Act (TCPA), today led a group of 14 Senators in calling for the Federal Communications Commission (FCC) to establish protections for consumers from unwanted and harassing robocalls and robotexts. Creditors can not harass customers behind in their bill payments with prerecorded or hang-up calls more than twice in one week, even if the person they're trying to reach refuses to answer, the state's highest court ruled today. New York announced today that it is requiring credit reporting agencies with significant operations in the state to register with its Department of Financial Services and comply with its cybersecurity standards, the first ever in the states. The new regulation mandates annual reporting and provides the NYDFS superintendent with the authority to deny, suspend or revoke a consumer credit reporting agency’s authorization to do business in the state. The Consumer Financial Protection Bureau (CFPB) has filed a response supporting reconsideration of the agency’s payday rule. According to The National Law Review, the motion requested that a Texas federal court reconsider its June 12 order that the effective date of the rules not be delayed. LEGAL STRATEGIES SESSION ANNOUNCEMENT: Legal Outsourcing: Best Practices in Building a Successful Legal Strategy. Collections – Compliance – Effectiveness. From building a legal strategy, to making it work effectively and compliantly, hear ideas and strategies that just may work in your organization. Learn the art and discipline of outsourcing legal. Hear about areas to watch out for, and to watch for. Our extremely knowledgeable panel includes: Manuel Newburger of Barron & Newburger, P.C., Brian Winn of Winn Law Group, David Snyder of Midland Credit Management, Inc. and Elisabeth Lovett of Wells Fargo Bank. Regulators turned their collective gaze toward FinTech firms this past week. Specifically, the Treasury Department is slated to release (sometime over the next few weeks) recommendations that would tie into regulating financial services. Those regulations would serve as a nod to the advantages of FinTech efforts and sandboxes that encourage innovation. Google on Thursday rolled out new Google Account features for Android users designed to bolster security and make it easier for users to manage their privacy settings. 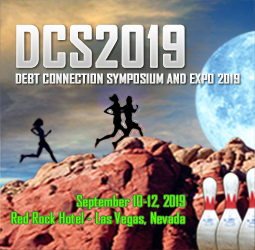 The Credit Union Peer Group will meet at Debt Connection Symposium & Expo 2018, with a tie-in meeting on September 5th, from 3:00 p.m. to 4:30 p.m., moderated by Andrew Britton of Hughes Federal Credit Union. Washington (CNN)The Supreme Court on Friday said the government generally needs a warrant if it wants to track an individual's location through cell phone records over an extended period of time. NEW YORK (Reuters) - A federal judge in New York ruled on Thursday that the structure of the U.S. Consumer Financial Protection Bureau is unconstitutional, forbidding the agency from suing a company that advances money to people awaiting settlement payouts. The decision by U.S. District Judge Loretta Preska is at odds with a February ruling by the federal appeals court in Washington that upheld the CFPB's structure. PHOENIX, June 21, 2018 /PRNewswire/ -- BillingTree®, the leading payment technology and services provider, today announced it has completed the integration of additional digital payment solutions into its suite following the acquisition of Toledo-based electronic payment firm, Internet Payment Exchange (iPayX). iPayX's XprsPay and CareView payment platforms are now fully supported BillingTree offerings aimed to help organizations in the B2B, and healthcare sectors to drive revenue through a flexible, easily manageable digital platform handling invoicing, bill presentment, customer communications and multi-channel payment acceptance. A new report from Vectra finds financial services organizations worldwide are facing more and more cyberattacks by sophisticated hackers who use hidden tunnels to burrow into corporate networks and remotely siphon off valuable data. Vectra’s 2018 Spotlight Report “Could an Equifax-sized data breach happen again?” charts a rise in security breaches across industries, including financial services, despite the fact that firms are spending heavily on cybersecurity. LAKE FOREST, IL, June 20, 2018 /PRNewswire/ - With one-third of working adults in the U.S. admitting to potentially risky behavior at work, employee negligence poses major security concerns for U.S. businesses. That is according to Shred-it's State of the Industry Report, which exposes information and data security risks currently threatening U.S. enterprises and small businesses and includes survey findings from the Shred-it Security Tracker, conducted by Ipsos. After a devastating 2017, the 2018 hurricane season is officially under way. And in Puerto Rico – which was hammered last summer by Hurricane Maria –the good news for credit unions is that the lights are on, branch traffic is up and, in some instances, loan demand is high. Attention all cybersecurity professionals! We all know that today’s cybersecurity landscape is an ever-changing one. So how often should organizations review their cybersecurity strategy? If it’s a question that hasn’t been asked in a while, chances are that in this world of constant threat, you’re probably at risk. The Great Debate Continues – Collection – Compliance – Effectiveness! Happy to announce our final debaters for Debt Connection Symposium & Expo. Join us September 5th – 7th at the JW Marriott in Austin, Texas for this lively, informative, and entertaining debate on issues involving collections, recovery, compliance, technology, oversight, training, hiring, vendor management and more. ...the report found, 86% of business executives agreed data breaches are more likely to occur when employees are working out of office. While CXOs do have security plans in place for these occurrences, only 35% of SBOs currently have a policy for storing or deleting confidential data remotely, and 54% of SBOs have no policy whatsoever, said the report.